Capture amazing detail with 4K Ultra HD which is 4x the resolution of 1080p Full HD. Zoom in closer with unprecedented clarity to essential evidence such as license plates, facial features and clothing details. 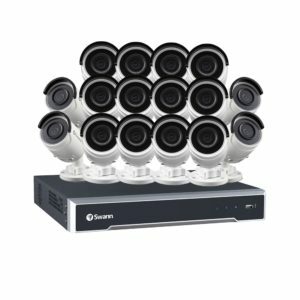 This 16 channel CCTV system allows you to add up to 16 cameras to it, making it suitable for medium-sized businesses & detached homes for monitoring indoors & outdoors, with the added flexibility of choosing Swann 5MP cameras NHD-850 & NHD-851 or the 4K (8MP) cameras NHD-880 & NHD-881 models which most suit your budget and needs for a complete home security system. With the SwannView Plus app, you’ll always be connected to your home or business wherever you are in the world. The app allows you to see the cameras on your phone or tablet and even search the recordings to play them back. Keep an eye on your kids, babysitter, tradespeople, pets and everything else that matters to you and your family. If you have a business, you can always see the cashier, storeroom, warehouse and check in on your staff’s safety and performance. And of course, in case anything happens, you’ll have video evidence in 4K Ultra HD (3840 x 2160 px). 4K Resolution With an incredible 4x the resolution of 1080p Full HD, capturing crime has never been easier with 4K Ultra HD. With easy PoE (Power over Ethernet) Installation & remote viewing on your smartphone, you’ll always have peace of mind with no ongoing fees. 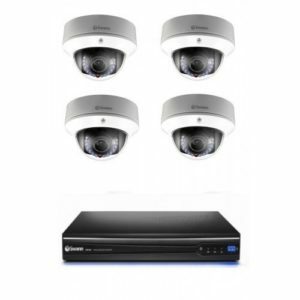 Mix and match cameras to suit your security needs and budget This NVR can take up to 16 cameras so that you can choose camera models that match both your needs & budget. For shorter distances, like a small storeroom or a garage, go with a 5MP camera. For longer & wider areas, like warehouses or backyards, pick a 4K (8MP) camera to capture more detail from objects more far away. 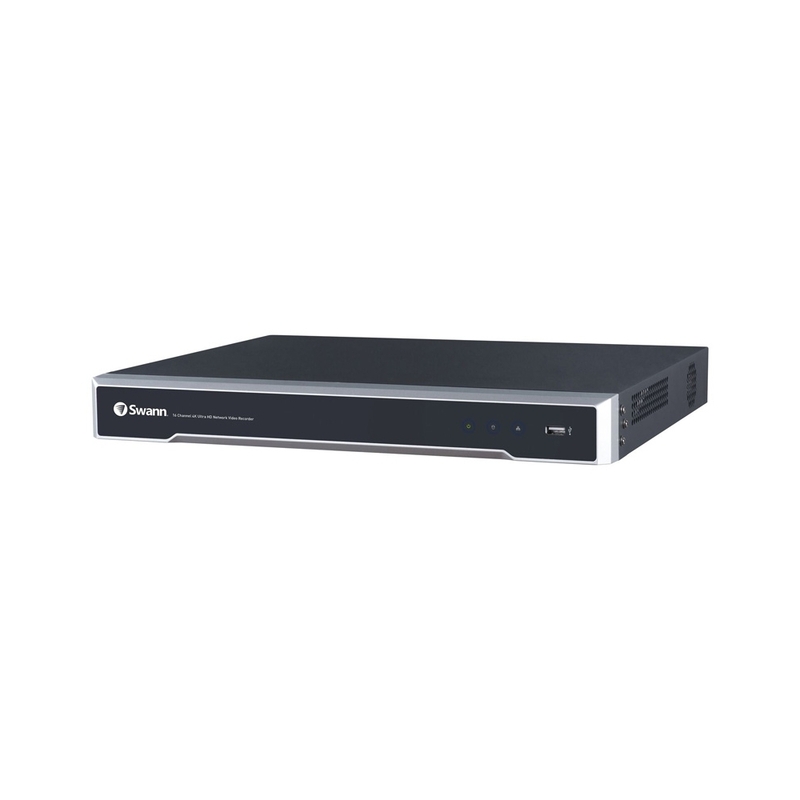 Easier Installation with Power over Ethernet Installation is now easier than ever with the NVR’s Ethernet ports which allow both the video signal and power to run from the NVR to the cameras through the same cable. 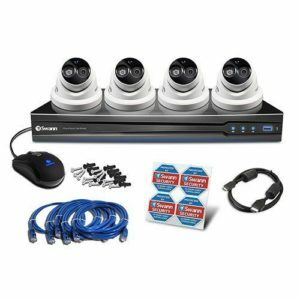 Simply run CAT5 Ethernet cables for each camera to the NVR and click it into place, the same way you would connect your computer to a router. Instantly link your phone to the NVR Once your NVR is connected to the internet, simply install the SwannView Plus app on your smartphone or tablet. 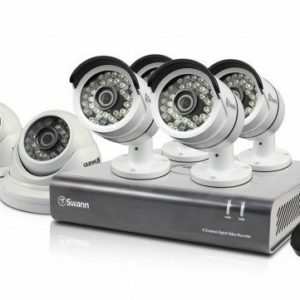 Then scan the QR code sticker on the NVR to instantly start viewing the cameras on your device with Swann’s peer-to-peer SwannLink technology. See video View your home on your phone You have peace of mind at your fingertips with our easy-to-install, free, SwannView Plus app. You can see the cameras live and playback recordings on your smartphone or tablet, no matter where you are in the world. Keep an eye on your kids or babysitter at home, and monitor your staff and business for productivity and protection. 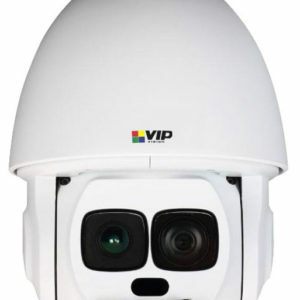 Face detection to trigger alerts and automatic recording The NVR can easily be set up to detect human faces within the image at certain times of the day to trigger recording and alert you accordingly. This gives you relevant information tailored to your needs and is ideal for restricted places where there shouldn’t be anyone roaming around at particular times. Massive surveillance grade hard drive The massive 4TB HDD is designed especially for continuous surveillance recording. You can easily transfer incident video files to a USB stick or to a computer on your network. You can boost storage by setting up Motion Detection Recording. With such massive storage, you can come back from your long vacation and still find recordings from a while back. 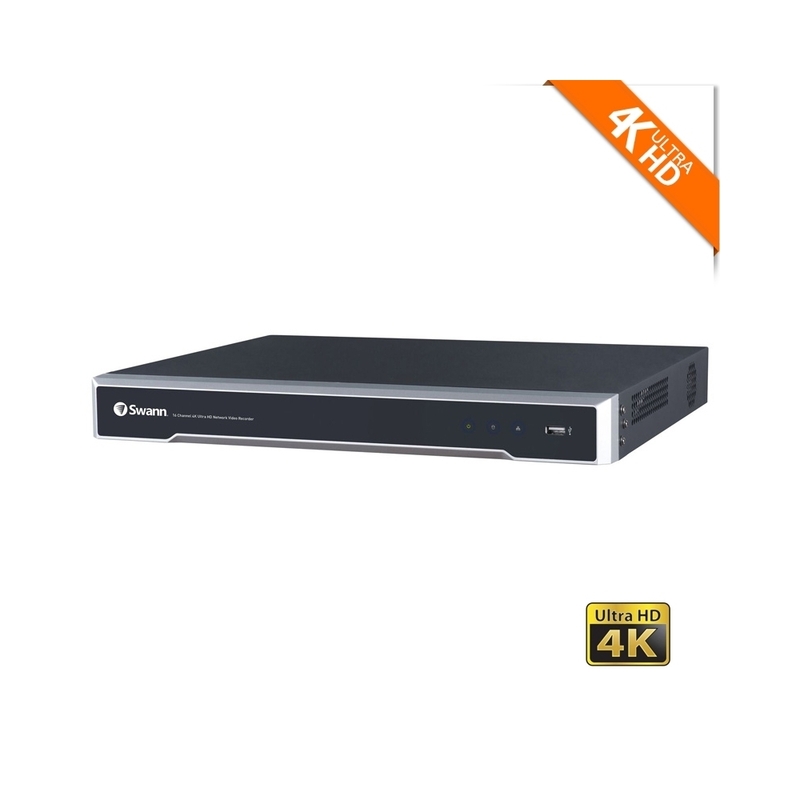 Ultra HD 4K with HDMI cable The kit also includes an HDMI cable for generating up to Ultra HD 4K video to your flat screen TV including LCD, LED TVs or monitors. 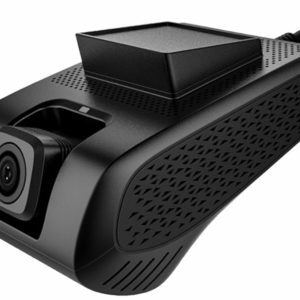 The NVR also has a VGA connection for viewing up to 1080p Full HD on your LCD monitor or compatible TV with VGA input. VGA cable not included. 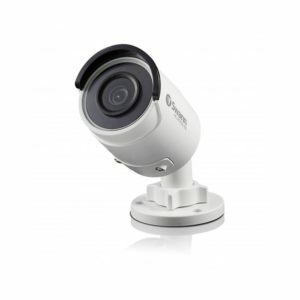 Record only what matters with Motion Detection Motion Detection lets you select specific areas of each camera’s image you want to trigger automatic recording and alerts. This reduces the unnecessary false trigger recordings, such as cars driving in the street, birds & falling leaves. This ensures improved accuracy and also boosts the HDD’s storage capacity. Smart Search easily finds recorded incidents in specific image areas With Smart Search, you can select a specific area of the image to search for movement within the recordings. For example, if something was stolen during a particular hour’s footage, you can highlight the position of the stolen object – for example, a laptop, bike or bag – and Smart Search will mark the timeline where it detected motion around that specific area. Intrusion Detection auto records & alerts you Intrusion Detection enables you to identify a potential intrusion and prevent it. You identify a particular area, draw a rectangle on the image and if someone stays within that area for a given amount of time, the NVR will start recording and will alert you. Ideal for using on parked cars, doors and business entrances. Usually, intruders have to spend time trying to break into a door or a car and this feature enables you to be proactive in preventing it from happening. 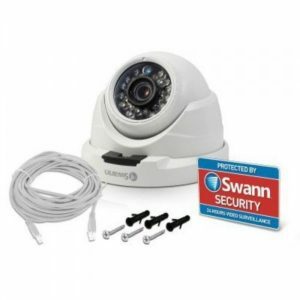 Camera Tampering Detection Any security system can be vulnerable to attacks or vandalism. Tampering Detection will alert you if someone covers up the camera’s field of view or tamper with the video signal, this way you can catch intruders in the act before something bad happens. Line Crossing Detection Apply a rule on which direction your NVR detects motion to record and alert you. For example, you can draw a line on the door of a store and set up the NVR to only record people entering the store from 5pm, but not leaving the store. This convenient feature enhances accuracy for your security and is also useful for restricted areas, garage entrances and driveways, such as someone walking towards your house or jumping a fence. Copyright © 2018, CCTV Camera Australia, All Rights Reserved.